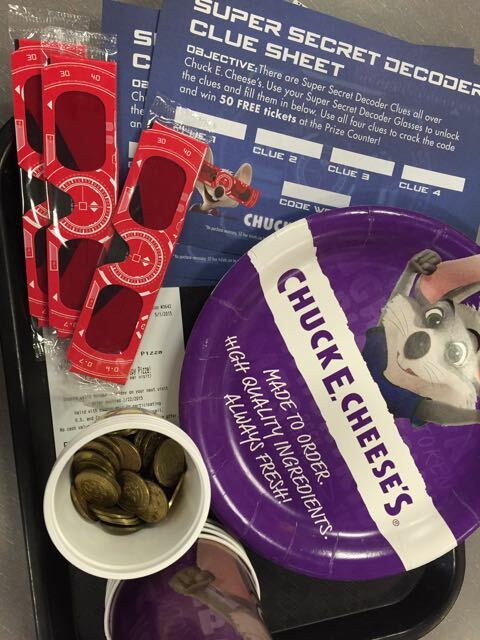 I was provided a promotional item in exchange for this post about how to save money at Chuck E Cheese’s. All the opinions expressed are 100% my own. 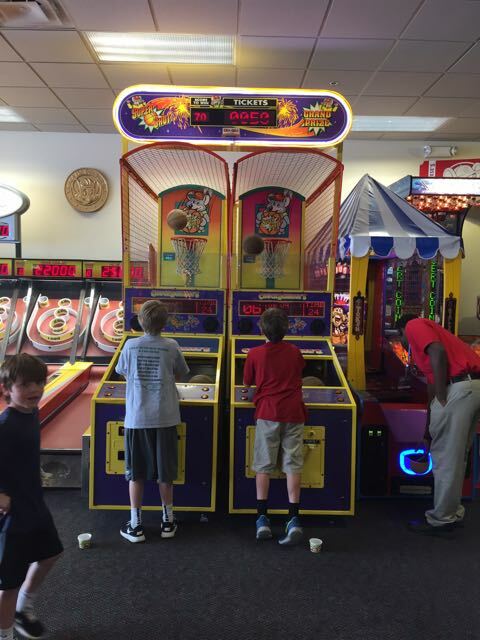 Who knew taking 3 tween boys to a Chuck E Cheese’s on a Friday afternoon would be so much fun. It was a rainy Friday afternoon and we decided to check out the new Decoder promotion available there. It had been a few years since I took my boys when they launched their new pizza. I was a little nervous they would make fun of the “games and child like atmosphere”. I could not be any more wrong, from the minute we parked until we came home the boys were a blaze of excitement. In order to take advantage of the Decoder promotion you need to purchase a value deal. 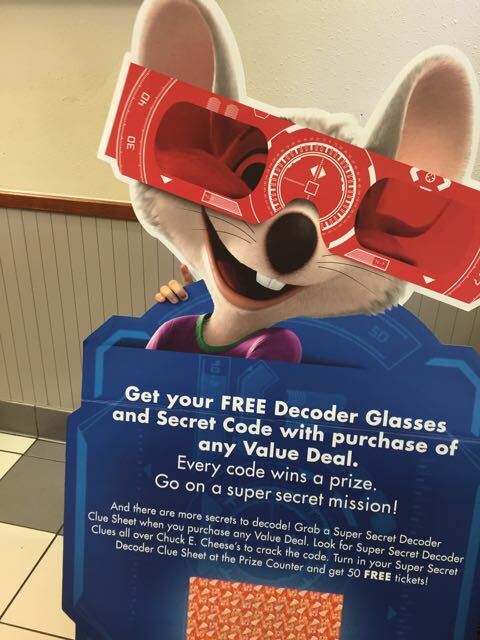 TO find the best deal available keep a look out for coupons in the newspaper flyers or simply look on ChuckECheese.com for coupons. That is what I did last minute as we were pulling up. I was able to get 15 more tokens by using the coupon, compared to the price available as a walk up. So what is the decoder promotion and why is it worth a trip there. 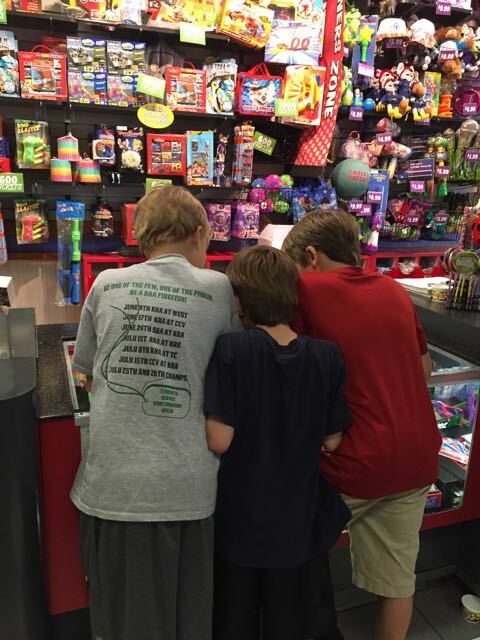 Kids get the chance to be a secret agent in the store, searching for 4 clues placed around. The kids will receive a printed gamed piece as well as a piece of decoder glasses. Once they decode the secret code, they can redeem this for 50 extra coupons. Well I had no idea that these would be such a hit, I thought they would just play games and not care about the prizes. NO it was a huge competition among the boys. TIP: On a Friday afternoon around 3, we practically were the only ones there. A big plus for me at places like this. The service was attentive and even Chuck himself came out and was throwing tickets around like a parade. The boys were pumped and a great way to end a school week. 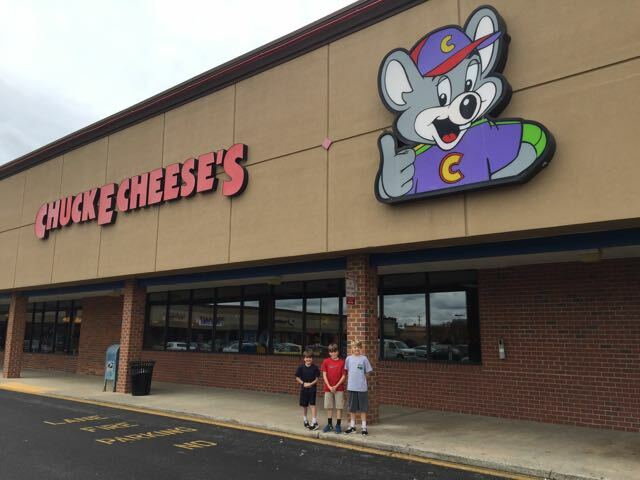 So if you are in need of a quick outing that you can sit back and let the kids roam and play games, head to your local Chuck E Cheese’s, be sure to look for value deals first. My nephew loves Chuck E. Cheese. I’m going to tell my sister about this promotion. 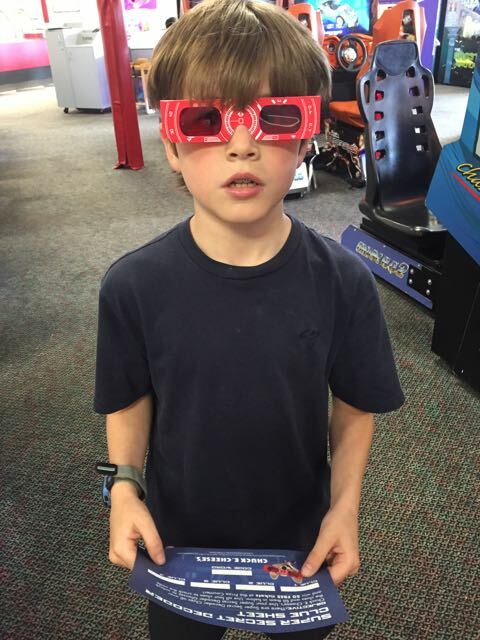 My nephew would love the decoder glasses.